I was recently tasked with upgrading a legacy vCenter environment to cater for an upgrade to Trend Deep Security Manager. As I was reviewing the environment I noticed that one of the vCenter servers was a physical server running on an IBM HS22 blade. This server is part of a linked-mode vCenter and as the second vCenter was virtualized it caught me by surprise that this one wasn’t. Before beginning the work to upgrade vCenter from 5.0 to 5.5 and all its component I decided to virtualize the physical vCenter server to make management easier down the road and to eliminate the reliance on physical hardware outside of the ESXi hosts themselves. As all ESXi hosts were being managed by the vCenter I was trying to convert I had to remove on host from the production cluster and isolate it so that it could be managed independently and could be used as the destination for the P2V in the vCenter Standalone Converter. 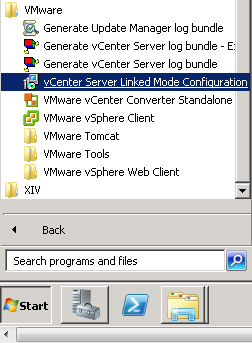 1.1: Go to https://my.vmware.com/web/vmware/info/slug/infrastructure_operations_management/vmware_vcenter_converter_standalone/5_5 and download the installation file. 2.1: Put the ESXi host in maintenance mode. 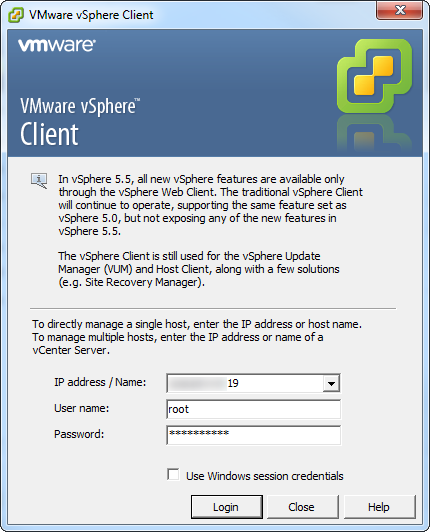 Then right-click and Disconnect from vCenter. It will appear in italics and with a red X through it.